On Sunday, August 12, 2018, 5:30-7pm, the second annual Piqua Farm-to-Table Dinner takes place at Canal Place (behind Susie’s Big Dipper). 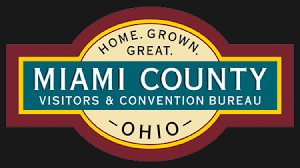 This year’s event will host 120 guests, up from 70 last year, and once again, all foods will be sourced locally within Miami County. There is also the addition of a cash bar serving a selection of wines and beer. Dinner will be prepared by Don Walters of Edison State Community College. The menu starts with an appetizer grazing table with jalapeño poppers, deviled eggs, assorted breads, fresh pesto, tomato relish, assorted cheeses, honey and herb butter. The entree includes a fresh picked green garden salad, Texas caviar, apple salad, whole roasted hog, smashed grilled potatoes and roasted root vegetables. For dessert, guests will enjoy grilled lemon pound cake baked by Sugar Pie’s Bakery served with Susie’s Big Dipper’s ice cream created especially for the event, flavored with vanilla and lavender. During dinner, guests will be enchanted by guitarist and vocalist Larry Lyons. An artist, Stephanie Beiser, has been commissioned to create a beautiful stoneware plate for the event. Beiser hand-crafted the plates for the 2017 Farm-to-Table event and this year’s plate will be similar with a different glaze color combination. The goal is that over the years guests will take home the plate and accumulate a beautiful set as a keepsake to remind them of their contribution in support of local source food producers. This event began in 2017 when the Piqua chapter of the Awesome Foundation awarded a $1,000 cash grant to Paula Schmiesing to help make her dream of a Piqua Farm-to-Table Dinner come true. Piqua’s Awesome Foundation’s mission is to fund projects to make a positive impact in Piqua and promote its awesomeness. Schmiesing’s mission is to heighten awareness of the significance of sourcing local foods to benefit our regional farmers and to help sustain the health and eco-friendliness of our community. Together, the Piqua Awesome Foundation and Farm-to-Table committee have created an event that brings the community together to share a meal and enjoy a beautiful evening. 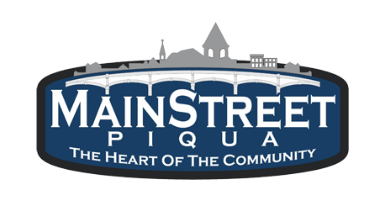 Dinner tickets are $50 per person or $95 per couple (includes commemorative plate) and can be purchased at the Mainstreet Piqua office and Readmore’s Hallmark.